From his parents’ basement to 7.5 million page views per month, Karm Sumal, co-founder of Vancouver-based national website Daily Hive—along with editor-in-chief Farhan Mohamed—is changing the way people consume news in Vancouver and across Canada. Sumal and Mohamed spoke recently about their rebranded site, expanding eastward and how Daily Hive continues to thrive. Do you consider Daily Hive a blog, a news site—or something else? Mohamed: We are a publication. There are people who still today call us a blog, and I always correct them and say that we’re not. There are others who call us a news source or a news site, which we are. Publication to me just encompasses everything. What are Daily Hive’s biggest influences? Sumal: Vice, just because of the way they’ve changed the journalism game. The stuff that they tell is not sugar-coated, it’s not watered down, it’s as real as it gets. [That] to me is very admirable and they’ve been able to do it and make money—that in itself is very genius. BuzzFeed for the fact that they did it very quickly and they’ve sustained it. They’ve been able to shift consumption of the news and how it’s consumed, and really latched onto Snapchat and Instagram stories and tell news on other verticals and not just on a main site. What has the learning curve been like for Daily Hive? 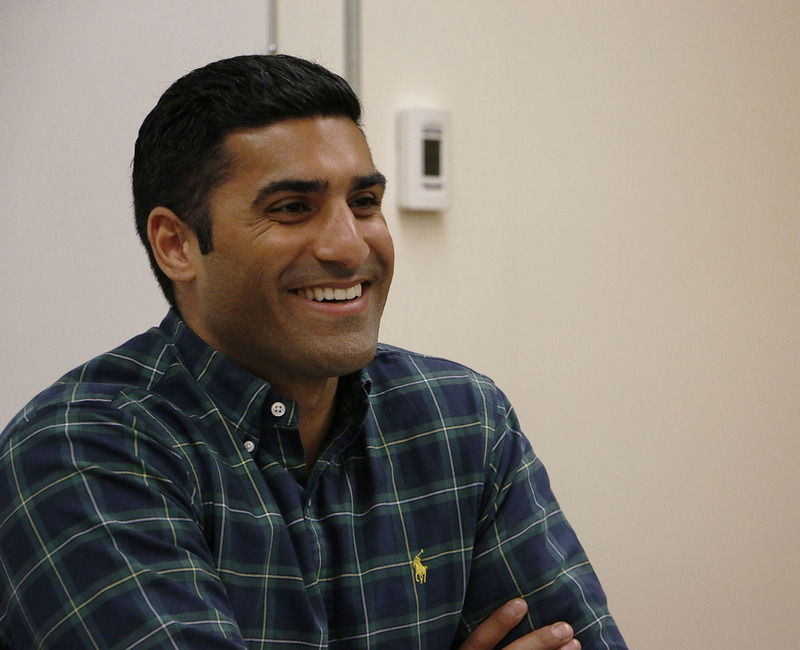 Sumal: You [have to] continue to learn; the industry is so dynamic. I think the reason newspapers have failed to transition to online is because they failed to acknowledge that online is even something that will be a means of consumption for news. You recently expanded to eastern Canada. How’s that going? Mohamed: Everyone kept asking, When are you going to come outside of Vancouver? So we made that first step with Calgary [in 2015]; we learned a lot, and we moved into Toronto and Montreal at the same time and also re-branded. It was a big challenge. It was something that we took on and hired some really good people. The thing that we tried to do differently is that we went in trying to be different. There are a lot of other players out in the market, and [Toronto] is a very saturated city. So far it’s been great; the response has been really good. I think the market was primed for it. Our numbers have shown that we’ve made great progress there—faster then we ever thought. We hired our second person out there in September, who is a food editor. [She was] the food editor of blogTO, so it was a huge move for us and now we have two awesome people who are working there on the ground. What are some challenges Daily Hive has faced getting to where it is now? Is there a responsibility for Daily Hive to provide political news in a different way for younger readers? Mohamed: Every policy that government officials make, it’s to influence and impact your life. So it in fact rolls into everything else that’s happening. Politics, as unsexy and unappealing as it is, actually effects everything that happens: from the liquor laws in the provincial government, to patio hours from the municipal government, to transportation funding from all three levels. Everything that happens affects every single aspect of daily life, so yes, it is something that people need to care about. How do we do that in a way that’s not boring but is interesting and challenging, especially when there’s so many other things that are more interesting and more fun that are happening? It’s a challenge, but it’s something that we definitely need to do. What is your favourite story that Daily Hive has covered? Mohamed: I remember we got a tip from one of our writers on the shooting in Yaletown a few years ago. I was at the gym, Karm was at Blenz and we had one other guy at home. We wrote the story pretty much through WhatsApp. We communicated through WhatsApp and we ended up leading the entire industry on that day. So that was a few years ago, and we’ve changed so much since then. A lot has changed and we’re always hoping to stay ahead of the game. Are there plans for expanding into the YouTube market? Sumal: Video as a whole is something we’re looking into, but video is expensive. If you’re putting money into video, is it bringing in the dollars that we need to sustain it and keep it growing, or is that money better spent on more editorial pieces, or going into another market and gaining readership in that market? You have employees in different cities around Canada. Are there any plans to expand to the U.S.? Sumal: The industry is pretty tough right now. A lot of ad dollars are still going to print, and as those ad dollars start migrating more and more into digital, that’s when we’ll start [to expand in the U.S.]. Right now, we’re making money but we’re putting it all back in to invest in better people or tools that we need to organize and be more efficient. America is something that we have in our sight-lines; we want to be in every major city in the world one day. Do you have a city to start in with your U.S. expansion? Sumal: There are two ways we can go about [it]. One option is we go to New York and LA; in order to go into both of those markets, you will probably need about a million [dollars] U.S. to go in and have proper staffing, and also the promotional and marketing support that you’ll need in that market. Or you go the second [option], which is going down the coast, starting with Seattle and Portland because they’re close to us. We already know the vibe and we know the culture pretty well; from there we would then go into the bigger cities. Photo (header): Farhan Mohamed, co-founder and Editor-in-Chief for Daily Hive by Reuben Dongalen Jr.
Photo by Reuben Dongalen Jr.